Aaron Traywick, the CEO of Ascendance Biomedical, was remembered for his motivation to succeed, and his desire to develop new treatments by pushing the boundaries of biotech R&D, following his death Sunday at a Washington D.C. spa. Traywick, 28, was pronounced dead at 11:31 a.m. after Washington D.C.’s Metropolitan Police Department found him in a spa room at Soulex Float Spa, 1010 Massachusetts Ave, NW. Police arrived in response to a 911 call of an unconscious man. “Traywick’s body was taken to the OCME [Office of the Chief Medical Examiner] for an autopsy. The Metropolitan Police Department is conducting a death investigation,” police spokeswoman Karimah Bilal told GEN this morning. “At this point, we don’t have any evidence to suggest foul play,” Bilal added. Traywick has been autopsied, LaShon S. Beamon, a spokeswoman for OCME and the D.C. Department of Forensic Sciences, told GEN. OCME closes 90% of its cases within 90 days. 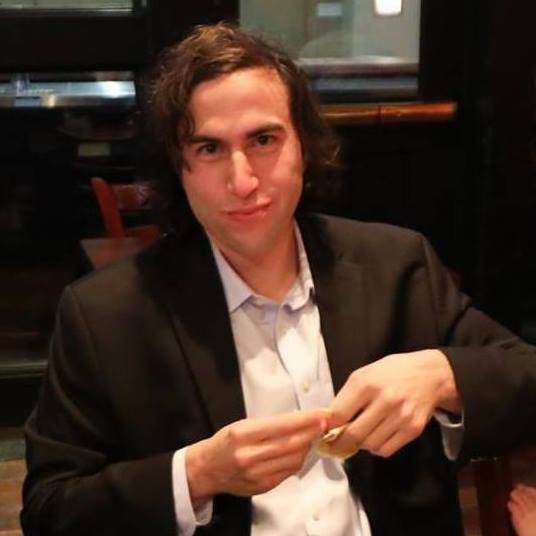 Traywick was a “biohacker” working outside the norms of life sciences research and development. He gained public attention on the final day of BDYHAX2018—a “celebration of human enhancement, transhumanism, and biohacking,” held February 2-4 in Austin, TX—when he dropped his pants and injected himself with his own developmental herpes simplex virus (HSV) treatment in front of a live audience. Traywick and Ascendance reasoned that traditional approaches against HSV had largely been ineffective despite three decades of ongoing research, and that use of a live but modified virus could be administered as a functional cure and vaccine for the disease. Ascendance noted that HSV includes glycoprotein D, which allows it to enter new cells and hide from the immune system. The live virus used in the Ascendance therapy had that protein knocked out. “Even though new herpes viral particles can be produced, those new particles can’t enter new cells within the individual’s body. Transfection then enables these disabled herpes particles to enter a patient’s existing cells, but—because they can’t infect new cells or hide from the immune system—your immune system quickly learns how to eliminate herpes from the body,” Ascendance explained. Ascendance also shared a 1999 study published in the journal Proceedings of the National Academy of Sciences (PNAS) that reported positive results from using bacterial artificial chromosomes (BAC) as large antigen-capacity DNA vaccines (BAC-VAC) against HSV-1 in mice. “BAC-VACs per se, or in combination with genetic elements that support replicative amplification of the DNA in the cell nucleus, represent a useful new generation of DNA-based vaccination strategies for many viral and nonviral antigens,” the study concluded. Ascendance was also working to develop gene therapies to treat HIV/AIDS, as well as mitigate aging by preserving bone mineral density and maximize muscle mass and strength. “In the real practical sense, I don’t know if the goals he wanted to achieve were ever going to happen,” Ishe added.